In our last post, we talked about how a financial planner could help you get organized. But what about the dollar value of that investment? 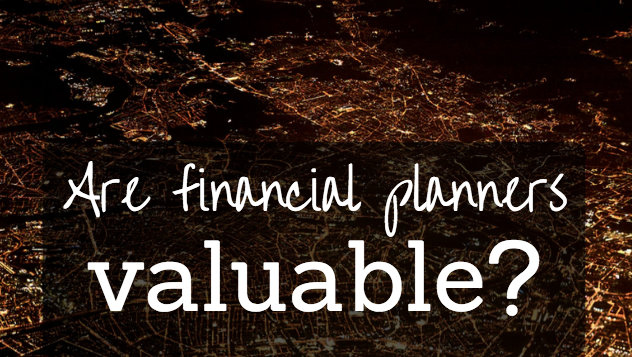 Are financial planners valuable? If you work with a financial planner, you are able to deduct the assets-under-management (AUM) fee at tax time. These fees do have to be specifically for tax planning or investment management to be eligible, so pay close attention to that. Even if you’re reasonably well-versed in the world of investing, a financial planner could help you fine-tune your approach. If you’re an investment novice, a financial planner is there to guide you start off with strong choices. Regardless of your background knowledge, working with a professional can help you strengthen your portfolio and make moves you might not have come up with on your own. Just make sure you’re working with someone who respects your long-term goals and personal level of risk tolerance. Estate planning is an important facet of your long-term financial goals, and a financial planner can be one of your best allies in creating a strong estate plan. Your financial planner and estate-planning attorney can even work side-by-side to put together a well-rounded plan that’s effective and in line with your future money goals. A financial planner can also help you work out the best course of action for passing on your wealth efficiently. If your vision is to give your money to your children and grandchildren, there are so many ways to do that successfully. Should you set up college savings accounts for your grandchildren to help that money grow? Would you be better off giving money to your children now, or waiting until after you’re gone? A financial planner can help you navigate those tricky decisions while still maximizing your wealth. Time is money. It’s obvious to see why financial planners are valuable if your finances are an enigma to you, but what if you’re decent at money management? Even if you’re successful at saving, investing and planning for retirement, consider how much time you spend on those tasks regularly. So if working with a financial planner will help you free up your time, think about what each hour in your day is worth. Life is constantly changing. There will always be another financial bump in the road. What kind of mortgage should you get? Can you afford that newer car model? Which insurance plan is going to be best for your family? Working with financial planners gives you the space to bounce ideas off someone and receive a professional opinion. Decisions rooted in professional knowledge and experience are likely to be more lucrative than guesses. Your financial planner should consider your ideas and put you in the driver’s seat – but still work with you to plan the best route.